Invisible orthodontics has really been used since the late 1990’sand their popularity has grown since then. More and more techniques are being developed and created, the number of invisible treatment possibilities are constantly growing as well. The most used solution is invisible braces. They utilize the same techniques as in conventional braces but are invisible. Its number one benefit is discretion. 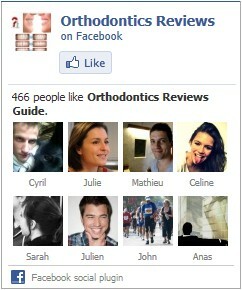 It is unlikely that anyone will know you are wearing braces. A consultation is recommended to see whether the choice would be available to you. Depending on the technique, they can also protect your oral health. Some solutions can be removed for proper brushing and flossing. This prevents the increased risk of tooth decay associated with traditional orthodontics. The smooth plastic is friendlier to soft tissues in your mouth, avoiding the abrasion of metal brackets and wires. Lingual braces are braces placed behind the teeth that perform the same functions as their front-facing counterpart. Most people choose lingual braces because they are hidden or invisible due to their placement behind the teeth. Within the lingual technique, there are several appliances and treatment philosophies used such as the incognito braces or STb braces. 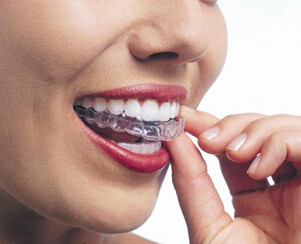 The other group of appliances is the different removable, convenient and invisible braces. Among these, several appliances and treatment methods are available. The most effective of the removable appliances is the Invisalign system. Smaller and medium movements can be made by the MTM technique and by the Clear Aligner. Invisalign braces re-align your teeth and are almost invisible. This is a major advantage for people who are uncomfortable with the idea of wearing traditional metal braces and who do not want their friends and family to know that they are undergoing treatment. Invisalign treatment offers a number of different benefits to patients with different dental needs. If your teeth are crooked, crowded or have gaps for example. Invisalign braces should be worn full-time and only removed when you are eating.